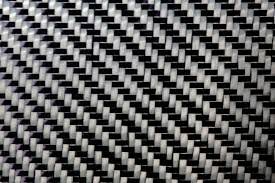 Raw carbon fiber fabric / cloth, 5.9 oz/sqyd(200gsm), .009"/.23mm thick, 50"wide. 2x2 Twill pattern with 13 x 13 weaves/in. AS4 high grade aerospace fiber made by Hexcel that is 640ksi tensile (moderate) and 33.5Msi modulus (moderate). 1/16" edge tapped and folded. No tracers. If you have any questions about this product by C6 Carbon, contact us by completing and submitting the form below. If you are looking for a specif part number, please include it with your message.